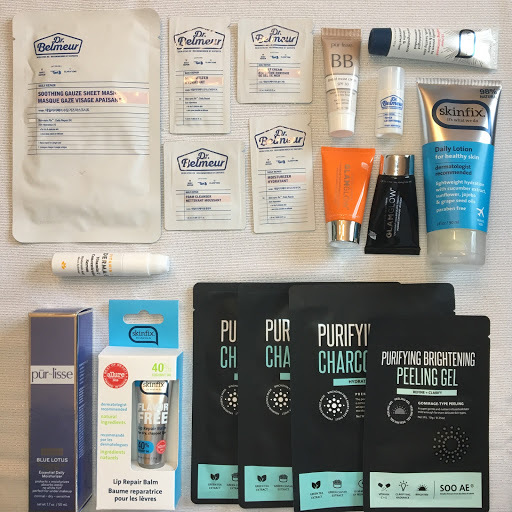 Here is a super detailed post outlining my experience at Generation Beauty Toronto on June 24th and 25th! I also give some comparisons to the 2016 event! 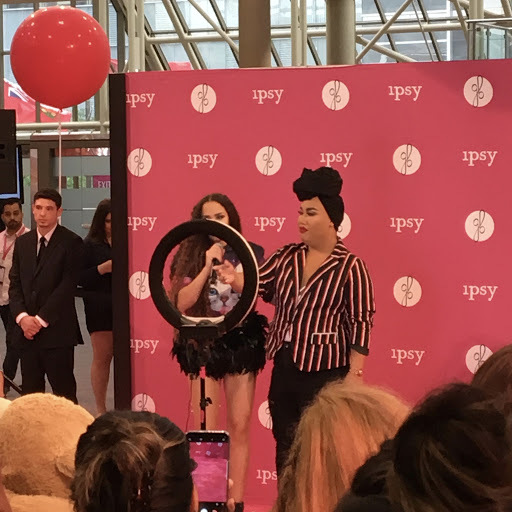 GenBeauty is an event hosted by Ipsy that brings together Beauty Brands, Content Creators, and Beauty Enthusiasts alike! It is the second year that the event has been running in Canada, and I was able to attend both! It is held at the Metro Toronto Convention Centre. Tickets range in price from ~$60 to ~$165 CAD. 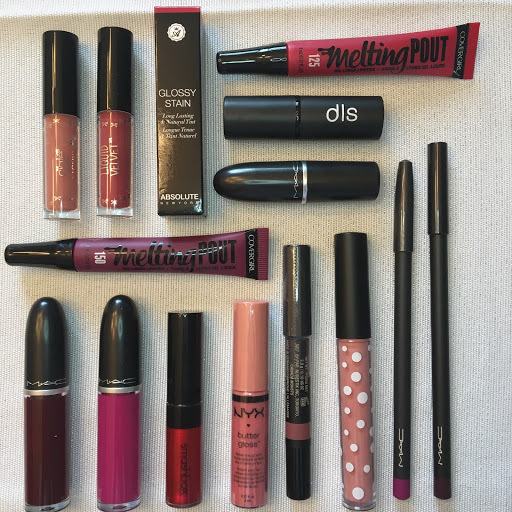 This year, 22 brands participated, including Covergirl, MAC, Ciate, Pixi, Smashbox, and more! They decided to do the event a little differently this year, compared to last year. The most noticeable change was with the swag bags that the attendees receive. Last year, there was a smaller bag for each day of the event. If you were unable to attend one of the days, then you were unable to receive the bag for that day, which was unfortunate because it was incorporated into the ticket price. This year, they gave the swag bag upon registration, which I thought was a way better way of doing things for a couple of reasons. First off, you got all of your goodies regardless of when you attended. You also only had to line up for this once, as opposed to lining up for registration, then waiting in line for a goodie bag on each of the days, taking up time that you could be interacting with other brands. It also came in a tote bag which was nice because you had somewhere to keep your stash! This years event coincided with Pride, so I feel that may have deterred attendance on Sunday. Although there were a lot more brands this year, I was disappointed that some of the bigger brands from last year did not participate again in the 2017 event. 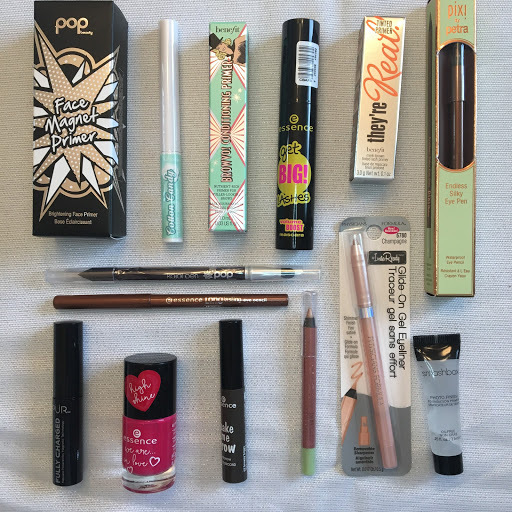 Most notably, Tarte, Too Faced, and Make Up For Ever were missing! 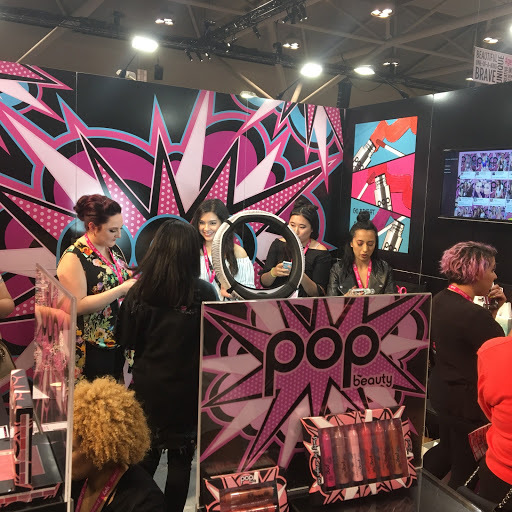 Also, Ipsy, the company who hosts the event, had a booth giving out custom silkscreened makeup bags last year, so I was surprised to see that there was no Ipsy booth this year. With that said, I was grateful for the whopping number of brand booths they had for the 2017 event, especially since many were brands I hadn’t tried before! It’s such a great way to introduce consumers to a brand’s products and have them fall in love with their line! Whats great about the event is that you get to go around to all of the different booths and interact with the brands. For many of them, this included following their social accounts, signing up for their e-mail newsletters, or posting photos with event specific hashtags. 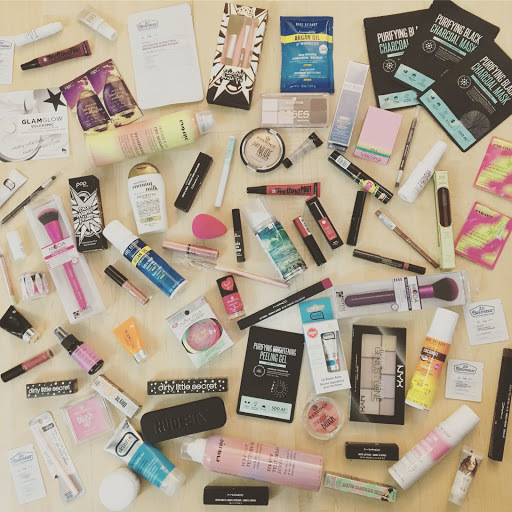 Many brands also hosted meet-ups with beauty bloggers and youtubers. Another great thing is that the brands tend to sell their products at cheaper rates! Now lets get to the good stuff… the haul!! The brands were SO generous this year! Attendees walked away with bags full of amazing products and an amazing experience! Note: Values given are in CAD. Prices listed with an asterisk (*) were converted from prices in USD found online when the price in CAD could not be found (using USD to CAD 1.35 exchange rate). Values of some Sample Sizes unknown. Value totals are for products included in the ticket price and do not include items that I purchased at the event. MAC – Mac was very generous! A lipstick in the shade Flatter Me Fierce was included in the goodie bag. At the booth, they had a selection of their products for sale at a discounted rate. I was unable to get to the MAC booth until Day 2, so many of the products/shades I was interested in were sold out. I purchased two products – retro matte in Tailored to Tease and lip liner in Magenta. At the booth, they were giving out a Retro Matte Liquid Lip in your choice of 3 shades and the matching lip liner if you followed them on instagram and posted a photo with the hashtag. I received the shades High Drama (retro Matte) and Vino (Liner). They also had a live body painting demonstration. This was MAC’s first year at the Toronto event. Value: $67.00!!! 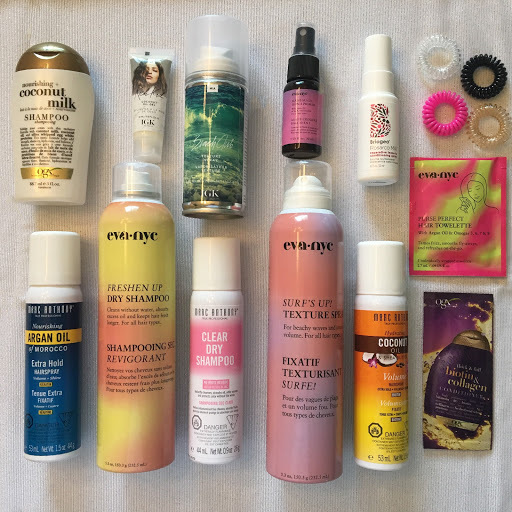 Grand Total: Over $670 worth of products! 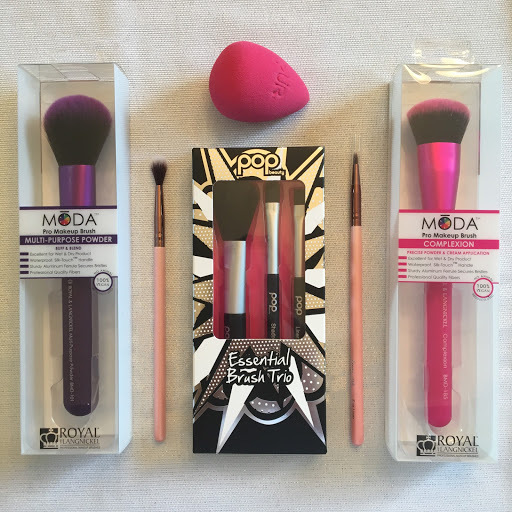 Let me know if you were at the event or comment below if you’d like to see any in-depth reviews of these products! I didn't get to go this year but I hope they have it again next year.